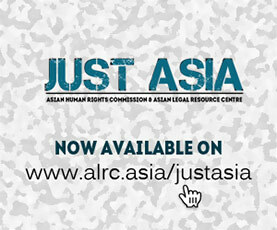 The Asian Human Rights Commission (AHRC) has received information regarding the sealing off of 37 houses in Gunung Sari, South Surabaya city, East Java province, Indonesia by the military. While the residents have legal documents to prove possession of their houses and land, such as the ownership certificate (SHM), letter seals (surat segel), and building use permits (HGB), the military have no evidence to prove that they legally own or are entitled to the houses. In August 2014, the residents of RW 8 and RW 9, Gunung Sari, Surabaya received invitations from the Kodam V Brawijaya to discuss returning the houses to the Army. As the residents had legal documents allowing them to stay in the houses, they refused to attend. Subsequently, Kodam V Brawijaya sent the invitations eight times, all of which the residents refused to attend. After the military did not get any response from the residents, officers visited the houses to request the residents to sign a Memorandum of Understanding (MOU) with the Army. When the residents asked the purpose of the MOU, the Army were not able to explain it well however. As a result of the residents’ refusal to sign the MOU, Captain Priyo, leader of the Army group who came to offer the MOU, intimidated the residents who do not want to sign it. On 9 July 2015, the Commander of Military Region Command, Korem Surabaya, Colonel Inf Muhammad Nur Rahmad and his subordinates came to the residents’ houses and forcibly demanded that they sign the MOU. Colonel Rahmad threatened the residents that their houses would be sealed if they refused to sign the MOU. According to the residents, they were forcibly dragged from their houses without any official letters or information. The residents then conducted a public protest by blocking the road nearby the Gunung Sari houses between 10 a.m. and 1 p.m. The residents finally ended the protest after the Commander of Military District Command, Kodim 0832 South Surabaya, Lieutenant Colonel Inf (Letkol) Rudi Andriono along with the Chief of Police of Wonokromo Police Sector, Kapolsek Wonokromo, Commissaries Police (Kompol) Arief Kristianto, conducted negotiation and mediation with the residents. After mediation and negotiation, the residents were again requested to sign the MOU. In response, the residents requested to study the MOU for seven days and also requested the Army to unseal the houses. Lieutenant Rudi Andriono refused to fulfill the request, adding that on July 14 the army would explain the content and the purpose of the MOU. Andriono also stated that the Army will provide a non-permanent refugee camp until the residents find new houses. Furthermore, he added that if the residents refused the offer, they can sue the Army through the court. In the past five years, forced evictions conducted by the Indonesian Military (TNI) have occurred massively in almost all Indonesian provinces. The Government, in particular the National Land Agency (BPN) and the TNI have yet to find an effective way to resolve the land conflicts. In general, the military does not have legal documents to claim the land or houses that have been occupied by civilian residents or retired military personnel for many years. The previous government of President Susilo Bambang Yudhoyono (SBY) had declared a moratorium on the housing conflicts between the residents and the TNI. Under current President Joko Widodo, however, the Government does not have any clear policy on the land and housing conflicts, resulting in massive forced evictions occurring without effective remedies. Please write to the authorities listed below, asking them to ensure that the Army obeys the law and stops the forced evictions against Gunung Sari residents. The Army must respect the rule of law and submit proof that the land and houses in Gunung Sari belong to it. President Joko Widodo must establish an effective mechanism to resolve housing and land conflicts between the Army (TNI) and residents. The AHRC is writing a separate letter to the UN Special Rapporteur on Adequate Housing as a Component of the Right to an Adequate Standard of Living, and on the Right to Non-Discrimination, calling for their intervention into this matter. 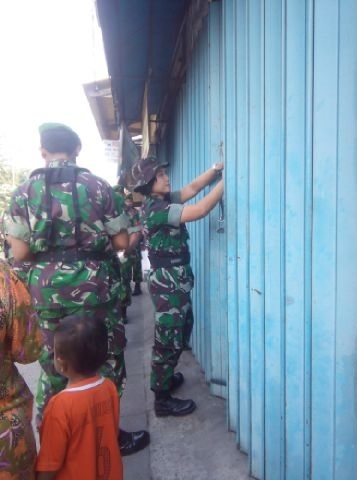 I am writing to voice my deep concern regarding the sealing off of 37 houses in Gunung Sari, South Surabaya city, East Java province, Indonesia by the military. While the residents have legal documents to prove possession of their houses and land, such as the ownership certificate (SHM), letter seals (surat segel), and building use permits (HGB), the military have no evidence to prove that they legally own or are entitled to the houses. MOU, intimidated the residents who do not want to sign it. The Army must obey the law and stop the forced evictions against Gunung Sari residents. The Army must respect the rule of law and submit proof that the land and houses in Gunung Sari belong to it. President Joko Widodo must establish an effective mechanism to resolve housing and land conflicts between the Army (TNI) and residents.